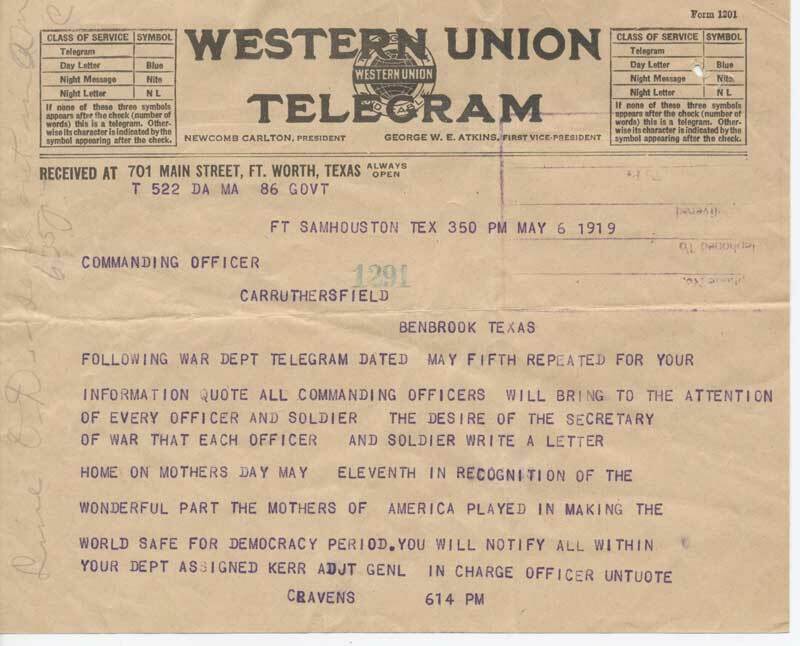 This World War I–era telegram relays the Secretary of War’s desire that all commanding officers and soldiers write a letter home for Mother’s Day. By the date of this communication, May 6, 1919, those moms had been waiting almost six months for their children to come home. Although the Armistice was announced in November 1918, it took over a year to transport the millions of American troops stationed overseas back to the United States.